Blooming high above Hidden Valley not all that far from Trail Ridge Road I discovered a spectacular patch of Indian Paintbrush. 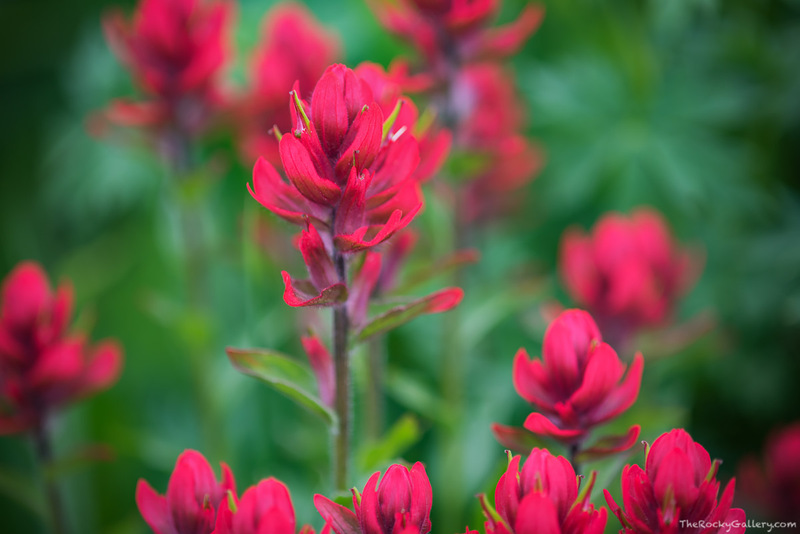 This vibrant red wildflowers stands out against the lush green landscape of Rocky Mountain National Park as the snow melts and turns the meadows a lush green teeming with wildflowers. Photo © copyright by Thomas Mangan.